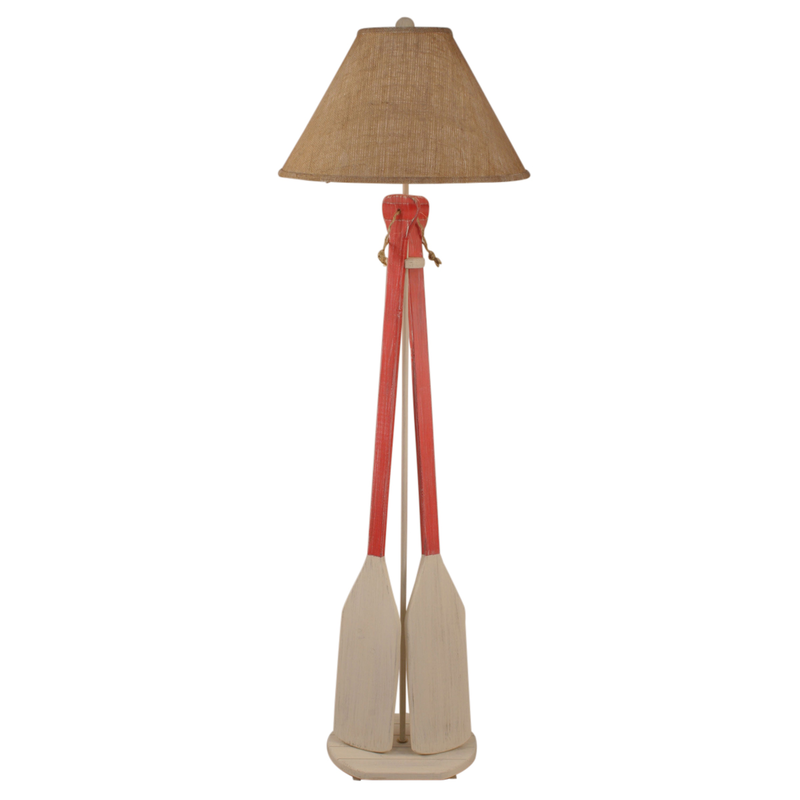 Light up your nautical home with the Classic Red Paddles & Rope Floor Lamp with Burlap Shade. This floor lamp beach lighting adds beauty and character with two boat paddles with rope detail and a burlap shade. View our whole assortment of fantastic beach floor lamps at Bella Coastal Decor right now!